1. H2O Bungalow has a crafty project for you- a Valentine Banner with free template! 2. Free “Sugar Rush for my Valentine” printable from The Crafting Chicks! 1. 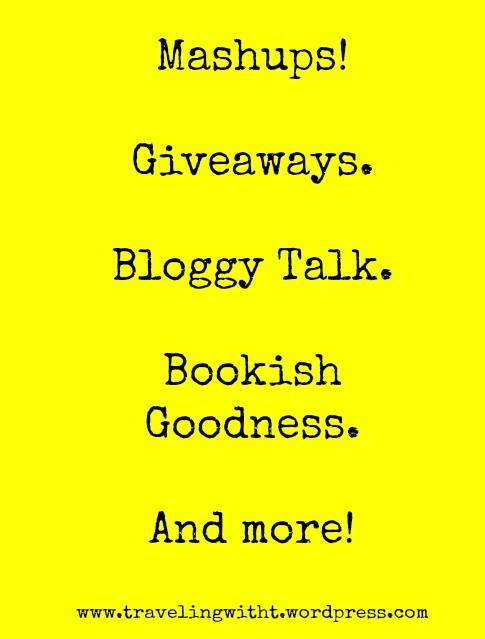 This is the last week that Love at First Book will be having her weekly linky love party- and I was so bummed. Till I got an email from The Steadfast Reader– she’s picking up the feature- so yay! 2. Traveling With T got a little personal yesterday with: Why I Love (and Dislike) Valentine’s Day. Chime in with your thoughts! 3. “Friending Authors-cool or not?” was a topic of discussion on Traveling With T last week. Would love to hear your thoughts! 4. Looking for a good mystery? I highly suggest AFTER I’M GONE by Laura Lippman- it’ll be in stores Feb 11th! Hope you found a giveaway or a crafty or bloggy link that makes you happy! If you did, I’d love to hear what it was! Tamara… you ROCK! Thank you so much for listing my giveaway and my banner post! I’m on my way to check out your Valentine post. Have an awesome week!